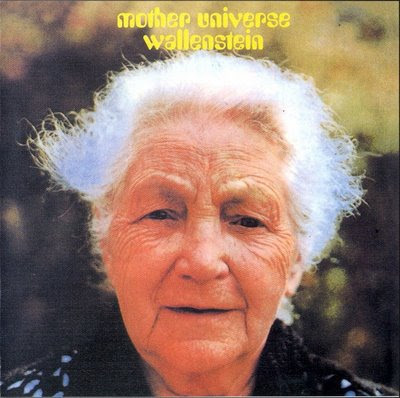 Wallenstein were one of Germany's best known "space rock" bands, clearly indebted to Pink Floyd but also developing a personal style of their own. Jurgen Dollase founded the group Blitzkrieg as an international group with Bill Barone (from the USA), Jerry Berkers (from the Netherlands) and Harald Grosskopf (from Germany!). Dollase had previously studied art and classical music. In late Autumn 1971 Blitzkrieg had the repertoire ready for an album, but as a British group already was using the name "Blitzkrieg", the German group changed their name to Wallenstein and kept Blitzkrieg as the title of their first album. This featured four very long tracks in a symphonic progressive rock style (all written by Dollase) and almost completely instrumental. Dense, complex and powerful stuff! Stories, Songs & Symphonies (1975) attempted to bring in more conventional rock and jazz styles for a kind of extended fusion, but was largely an artistic failure. Only their adaptation of Bartok's music on "Symphaty for Bela Bartok" was of much interest. The rest represented Dollase's failed attempts to be a serious singer-songwriter. Wallenstein split in 1975 and Bill Barone returned to the USA. Harald Grosskopf was engaged as the drummer for Klaus Schulze, Ashra and more recently Central Europe Performance.